Visit the filming locations of Hawaii Five-0! I’ll focus on major scenes, or major points of interest that locals will instantly recognize and tourists would enjoy seeing. Most photos are found on the Hawaii Five-0 Undercover Facebook Page. The governor’s funeral is at National Memorial Cemetery of the Pacific (Punchbowl Cemetary). McGarrett was incarcerated in Halawa Prison. Max and Chin drive up on the ridge behind the prison. The grossest restroom in Honolulu is a men’s restroom of the CBS production headquarters aka the Advertiser Building (location tweeted by @EsmeInfanteNii). The Searcher is docked at the Ko Olina Harbor. Rick Springfield is shooting the models at Three Tables, up on Oahu’s North Shore. McGarrett goes jogging up Kamehame Ridge in Hawaii Kai, which overlooks Makapu’u Beach to the east and Hawaii Kai to the west. Kono and Kawika are at Makapu’u Beach for the surfing event, right across from Sea Life Park (a marine life park). The external shot of the HPD crime lab is actually the Board of Water Supply’s office (who manages the public water utility). Chin’s uncle fishes off of the Makai Research Pier, a short walk from Makapu’u Beach, a research facility for Hawaii Pacific University. The Five-0 crew filmed one Lex Brodie’s gas station to make it look like different gas stations. The closest one is two blocks from the CBS production headquarters in downtown. The zipline was set up in Ka’a’awa Valley, on Kualoa Ranch property. The dinner scene happened at the poolside bar at the Five-0’s favorite hotel, the Hilton. Deputy Prosecutor Chan met Kono and Steve at the Federal Court House and Post Office (see below). McG and Chin kick the door down at the Hawaiian King Condo Rentals in Waikiki. Check out the BTS clip. DP Chan’s son’s car blows up at Kewalo Harbor, near Fisherman’s Wharf restaurant on Ala Moana Boulevard. The Gogi Korean Taco Truck is in the background. Hobbietat store is on 10th Avenue in Kaimuki. The Hilton Lagoon is where Rachel confronts Danny about Matt. The bomber is apprehended at Manoa Elementary School in Manoa, identified as Piikoi Middle School. Piikoi High School was referenced in Episode 3, “Malama Ka Aina”. Rachel’s house is in the Kuliouou neighborhood (see below). McG and Danno are pushing the Mercury Marquis up Round Top Drive, and stop at the Tantalus look out. The Makani is a luxury catamaran that launches out of Kewalo Harbor. The scene marked as “Kapiolani Park” actually shows the arch of the War Memorial, a monument for Hawaii veterans of World War I. It’s part of the Waikiki Natatorium, an abandoned outdoor swimming pool. McG and Danny find Kamekona in front of the Hale Koa hotel, a military hotel. The pawn store is on Liliha Street, not far from Liliha Bakery, it’s also the same location of the Hoffs Drawlar Funeral Parlor from “Lost”. The shootout on the trolley also happens on Liliha Street. The college kids are partying at Tiki’s Bar and Grill at the Aston Waikiki. The money exchange happens at a warehouse at the Sand Island military reservation. The opening sequence of gorgeous green valleys is listed as “Kahuku” on Oahu’s north shore, but is actually Kualoa Ranch’s Ka’a’awa Valley on windward Oahu. Rachel and Grace’s carjacking is near the intersection of Hawaii Kai Drive and Kalanianaole Highway, at the parking lot of Mauna Lua Beach Park. HPD’s office is the foyer of the old Honolulu advertiser building at 605 Kapiolani Blvd. in Honolulu (listed in “Mana’o” below). The Federal court house is the old Post Office Building in downtown Honolulu, right next to the Aliiolani Hale (aka the Five-0 headquarters). While Rachel and Stan’s house has always been listed as being in Kahala, it really is in Kuliouou, further to the east, and not far from the Bayer Estate (McGarrett residence). Danno roughs up the commish at the Original Pancake House in Honolulu. Someone’s grandma decorated it 30 years ago and they are trying to keep the style alive. Rock on OPH! The episode begins with Kono giving Danno a surf lesson at Ala Moana Beach Park. Incidentally they’re very close to the “Waiola Shave Ice” stand where Kono ate shave ice with the little girl in “Ho’apono”. 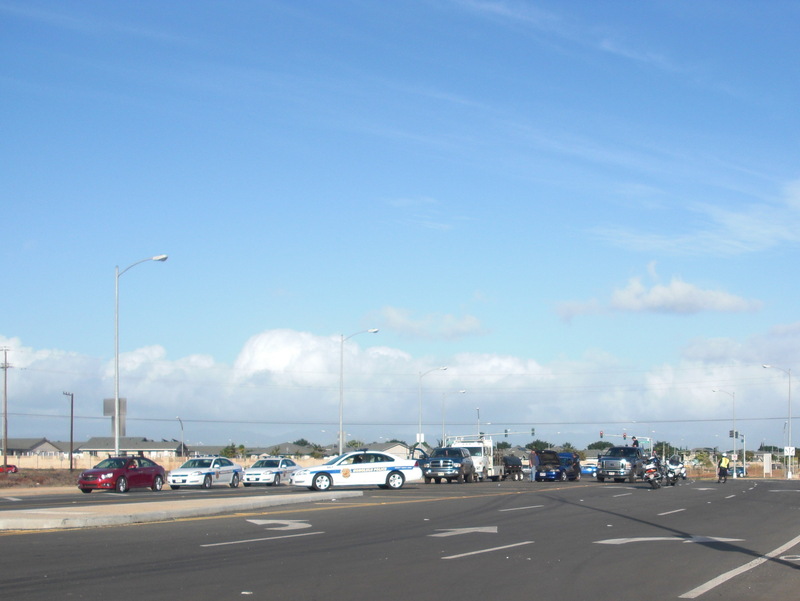 There were a couple of shots of Costco in Iwilei of being with their shopping wagons, and also of the gas station. Danno picks his daughter up at the Sacred Hearts Academy in Kaimuki. The exterior shots of the Pacific Tsunami Warning Center in Ewa Beach were actually filmed at the Pacific Disaster Center/Civil Defense headquarters at Fort Ruger in the center of Diamond Head crater. Danno and McG track the hacker to the Waikiki Yachi Club (a private club) located at the Waikiki end of Ala Moana Beach Park. 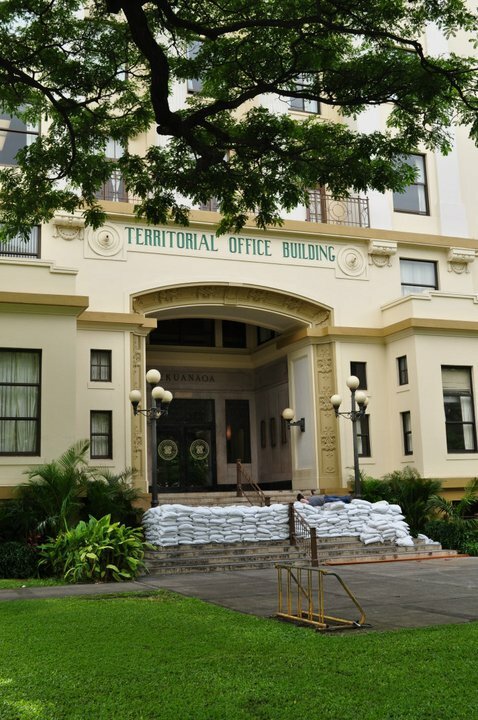 The sandbags were lined up at the Territorial Office Building in downtown Honolulu, which stands in for the exterior HPD headquarters shot. Territorial Office Building, Hawaii Five-0, "Kai E'e"
The episode begins with a car chase that ends disastrously for the driver at the intersection of Kapolei Parkway and Fort Barrette Road. Kapolei Crash, Hawaii Five-0, "He Kane Hewa' Ole"
Hawaii Medical Center West (in Ewa Beach) is where Chin and Kono interviewed Dr. Malia. The ninja’s assault on McG’s house happens at the indoor studio at 605 Kapiolani. The gorgeous double rainbow is in Ka’a’awa Valley, home of Kualoa Ranch, on the windward side of the island. There’s a lot of great outdoor activities here…horseback riding, ATV tours… definitely a must see if you’re on Oahu. Mary Ann’s “rental” is actually a beachfront cottage on Kualoa Ranch property. Chinaman’s Hat in the back is the dead giveaway. The episode pins the locale as Kaimuki…which is a neighborhood far inland in Honolulu. Mamo’s Rentals is at Queen’s Beach, in an area known as “Walls” because of the concrete wall and pier. The Pauahi Tower restaurant is actually the Ko’olau Ballrooms and Conference Center clubhouse in beautiful Kaneohe. It was known as the Ko’olau Country Club until recent ownership change. McG makes Hiro’s arrest on one of the greens at the end of the episode. The episode begins with a bomb strapped Chin Ho kneeling in front of the Territorial Office Building on King Street in downtown Honolulu (adjacent to the King Kamehameha statue). The “Ikalani” resort is one of the resorts at Ko Olina on the west shore of Oahu, though I’m not sure which one… Despite what Kono said, they are *not* private beaches. In Hawaii, all beaches are public. Hesse’s safe house is a penthouse in the Keola La’i condominium. The condo is immediately behind CBS Eye Productions headquarters and filming studio at 605 Kapiolani Ave. Many shots have been shot on or around the Keola La’i. Bar 35 on 35 N. Hotel Street is a pretty cool lounge for downtown’s fashionable crowd. It’s *not* a hostess bar, so don’t get your hopes up guys! Danno’s interior apartment shot is at the film studio at 605 Kapiolani. McG and Chin Ho are at beautiful Kualoa Beach Park on windward Oahu. McG shows Chin the Champ box at the Bayer Estate in Aina Haina (or it could be the indoor studio at 605 Kapiolani). The Hawaii Medical Center in Liliha is the location for hospital scenes. The Pagoda Hotel where the private investigator stayed is actually in the Ala Moana area, off of Keeaumoku St. 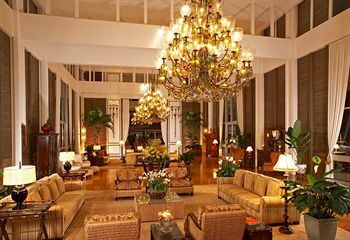 The lobby of the Kahala Hotel served as the interior main deck shot. If you look closely in the background, you can see it’s actually a huge painted wall! The interior cabin shots are also of the Kahala Hotel. The backroads of Kauai were filmed at Barber’s Point Naval Station. The Five-0 team chase the serial killer up the Old Pali Road and eventually corner him at the Pali Lookout that overlooks Kaneohe. Presumably, the Pali was a stand-in for the Waimea Canyon on Kauai. The armored truck heist occurs at the Neil Blaisdell Center, between the parking structure and the exhibition hall. The Center is Hawaii’s venue for concerts and exhibitions. The Hawaii Five-0 team find the abandoned armored car at Pier 19 (not 20), which once housed the Hawaii Superferry. The Hawaii Medical Center in the Liliha area of Honolulu is the hospital where the armored truck guard is hospitalized. Gordon Smith (rapper Nas) was interrogated at the Ala Moana Beach Park’s west entrance, near the Kewalo Boat Harbor. The start of the triathalon is at the beach at Magic Island. The end of the swim and start of the bike race is also on Magic Island. The take down of the thieves happen mostly around the Keola La`i condominium and the old Honolulu Advertiser building (Five-0 filming headquarters). But by some super human ability, the last thief and McGarrett find themselves a few miles away, back at Ala Moana Beach Park (next to Magic Island)! The episode opened up at the Aston Waikiki Hotel. My first impression was that the bar scene was at Tiki’s Bar and Grill, but the view was way too high. The actual location is the Coconut Club on an upper lanai. Room “2127” was the room the scene was filmed in. The hotel is styled in the “hip hawaiian” decor. The murdered woman’s house is in Waimanalo, probably near the Waimanalo Beach Park, and Rabbit Island is in the background. The Five-0 crew track General Pak’s former soldier to an apartment above Bobby’s Market (41-867 Kalanianaole Hwy, Waimanalo, HI 96795), a small mom and pop grocery store a block away from Waimanalo Beach Park. 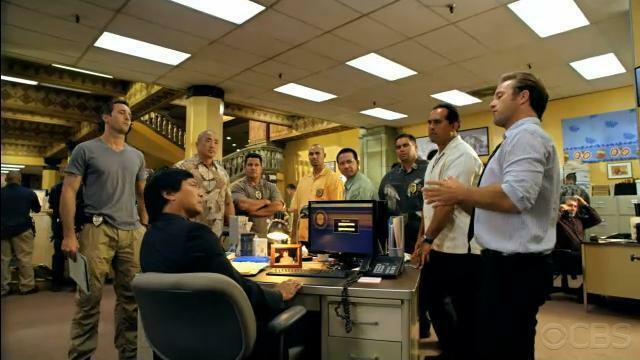 The Five-0 team meet General Pak at Hickam Air Force Base. Danno and McG pass by the state capitol (415 South Beretania Street, Honolulu, HI 96813) several times where the protesters are. 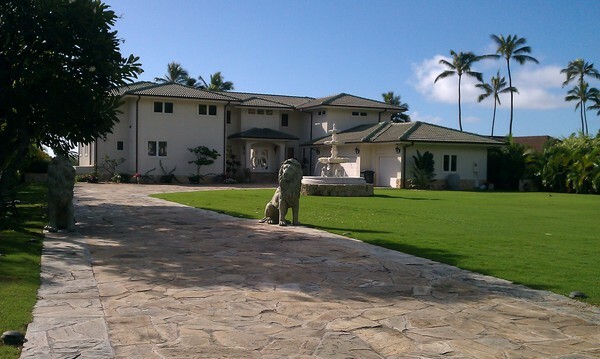 McG’s house is the Bayer Estate in Aina Haina. “2727 Piikoi” is his address that he calls HPD to…putting that address in google maps takes you approximately to…Makiki Cemetery near Punchbowl National Cemetery. The Lu’au scene is at Paradise Cove. They have a great dinner, show and lots of activities for the family. There’s also a guarantee that there’s no dead body in the imu. The Shrimp Truck where Danno, Steve and Detective Kaleo eat is right outside of the Hilton Hotel Rainbow Tower and Lagoon. Also filmed here was Episode 2’s car crash and abduction of the computer programmer. And even more, this is where Charlie crashed Desmond’s Mercedes into the water in a flash sideways episode of Lost, Season 6. The Honolulu Police Department scenes, I believe are being filmed in the old Honolulu Advertiser building. As mentioned before, the Task Force Headquarters are filmed upstairs in the Post Office building in downtown. Danno and Chin Ho share a drink at JJ Dolan’s in Chinatown, Honolulu. The Waialua coffee plantation scene was filmed at a Waialua coffee plantation in central Oahu. Please don’t make me go and find the ditch Ochoa was laying in. The episode largely centers on the Battleship Missouri, docked at Ford Island, and immediately behind the Battleship Arizona and Arizona Memorial. Ford Island houses World War II era hangars and a modern Navy housing residential area. The traffic control tower was prominently featured in Michael Bay’s Pearl Harbor movie. The Pacific Aviation Museum is housed on the island. Pock marks from Japanese fighter machine guns can still be seen on the runway. The Waiola Shave Ice stand where Kono took Lily is actually the Concession Surf and Snack stand at Ala Moana Beach Park. The Coral Prince surf contest happens at the Banzai Pipeline at Pupukea on the north shore of O’ahu. Pipeline is a beach with major waves during the winter surf season. McGarrett and Danno meet Kawika at the Tropics Bar and Grill, at the Hilton Hawaiian Village in Waikiki. The scattering of Ian’s ashes happens at Waimea Bay. Aboard the Atlantis Submarine Tour in Waikiki is where the red headed kid discovers Nemo and the floating mermaid. The exterior shot of the “Zephyr” club is at the Aloha Tower Marketplace, most likely on the Diamond Head side of the pier. The interior shot is Ocean 808 club at Restaurant Row. The jailbreak happens at Halawa Correctional Facility, a medium to high security prison deep in Halawa Valley. Hawaii’s worst criminals are incarcerated here. Kono and Chin Ho find the stolen car at Kakaako Waterfront Park, where Dawkins dyes his hair in the bathroom. The bum is talking on the stolen cell phone with the prison guard’s shirt at the pavilions along the water. The bank scene really is Pacific Rim Bank at Restaurant Row in Downtown Honolulu, as Kono radioed it in. The final picnic scene is at Punchbowl National Cemetery. The name comes from its geographical shape- Puowaina Crater is a bowled out, extinct volcano. The Lady Columbia statue appears in the opening sequence of both TNS and TOS. Kukui High School is actually Iolani School, a private school in Honolulu who’s colors also are red, white, and black. The football game happens on Eddie Hamada Field. The International Marketplace where McGarrett nabs a suspect in Waikiki is a collection of various kiosks selling clothes, jewelry and other Hawaiian items. Chin Ho confronts his cousin Sid at the Kahala Hotel. The South Korean bunker in the opening scene is Cooper Battery, an old World War II bunker in Ka’a’awa Valley, on Kualoa Ranch property. 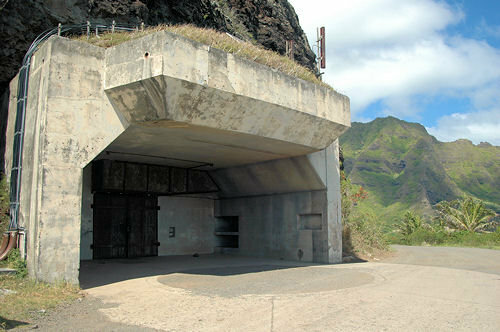 This bunker was also used as the external shot for Dharma’s Tempest station in Lost. The military convoy drove through Makua Valley in west Oahu. You may have seen this road in Adam Sandler’s “50 First Dates”. McGarrett’s transport lands in Kaneohe Marine Corps Base Hawaii, in Kaneohe Bay. He travels over the H-3 freeway, to Ford Island, home of the Battleship Missouri, where he meets the governor and Chin Ho Kelly. Danno’s ex-wife’s house is somewhere in the Kuliouou neighborhood of Honolulu. The final fight between Hesse and McGarrett is *not* on Ford Island as the show indicates, but was shot at the docks on Sand Island outside of Pearl Harbor. My friend will be here from Feb. 22 -March1. She is a big fan of the show. I would like to take her to some filming sites. Is this possible? Aloha Mary Ann, yeah as long as the filming sites are on a public street or public place, you’re allowed to watch. The closed sets are obviously off limits to the public. Common sites are in town, near the King Kam statue, or around the keola la’i condo. Msg me the week your friend is here and I may have info on where they are. are there any other sources of information of up-coming film locations for Five-O? Aloha Officer 808. I am writing to you from Spain. Me and my friends are great fans of the show and to be sincere of one of the best leading males on TV. We are thinking of going to Hawaii the last week in August. I think they are going to start shooting the second series in July. We would love to see some action packed filming and experience the fact of seeing a scene that will later on be on TV. Any chance, if not know, of knowing were they will be filming around that date because after taking between 28 and 29 hours to get there, it would really be nice to see them in action. 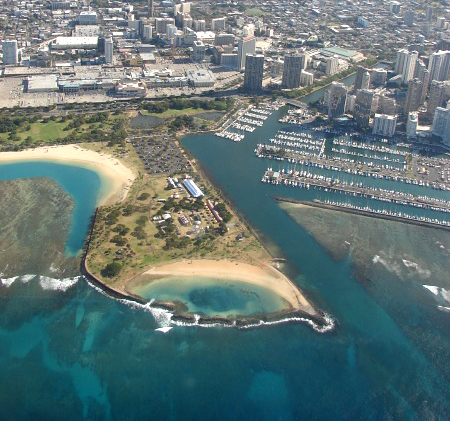 We are staying in honolulu July 19th to August 1 (2011). I saw an original Hawaii 5 0 episode filmed in the parking garage of the Ilikai Hotel (Tommy Sands was the guest star. Any chance you have information where they will be filming during our stay? I will be in Honolulu for the next 2 weeks. Do you know if and where they will be filming. ? Thank you for providing us with this site! This site is very informative! Season 2 is set too start and luckily as I can see on here, they are still filming for it! My Dad will be in Honolulu for the week of September 26th to Oct 1 and was hoping he might get a chance of seeing them filming! BTW- I think I am your biggest fan. I’m gonna quote you repeatedly on the “I’m your biggest fan” 😉 Thanks! I hope I’m a close second to being your next biggest fan!! For those who won’t be able to just up and leave to go visit Hawaii its wonderful hearing all the details of where various scenes were shot at – love the detail on where the cast homes are located and where its filmed at….the locations are just gorgeous, so beautiful everywhere. If we can’t be near where the cast hangs out, we are very lucky to have u officer Bob to bring the cast and locations to share with all of us. We feel so much closer to the show thanks for all the great undercover work you do for all of us. Just awesome. Mahalo!! at 245 lbs and six feet two, I believe I hold that honor. We both LOVE the show and have gotten both our parents hooked on the series. I am old enough to have watched the original series on TV, I LOVE the new vibe and enjoy watching each week. I love this show. I remember the old version and this is so much more. I love seeing locations and knowing where they are ! I go to Oahu every year end of May or early September, and would love to scout out some shooting locations. When does filming end? Aloha Deb, and thanks forstopping by 🙂 Filming ends in late April. My family and I will be in Oahu from the 6th to the 20th of March. I wonder if they will be filming then? If so, any idea where? Hi, I just found your website. Love the info. Found it hysterical that Rachel’s house has no Diamond Head in the background. Guess I am naive to all the tricks that shows use to make them wonderful! Just wanted to say that I love your site; I probably check it at least once a day for new updates. As a person who lives in Michigan, it’s cool to see when and where the cast is filming. I am also excited to say that I will be traveling to Hawaii in May for the first time and am planning on stopping by some of the more popular filming sites like the Hilton, etc. I know filming will be done and the cast will probably no longer be in Hawaii(except for Daniel) by that time but am still excited to see where it all happens. Do you have any other Hawaii Five 0 ‘must see’ stops to suggest? Thanks for you awesome site!!! Hello Officer 8o8! I just stumbled upon your page and may I say you’re awesome! I absolutely love Hawaii 5-0! It would be the greatest birthday gift for me to be able to catch a glimpse of them filming :0) Would you have any ideas as to where they might be filming this week or next? BTW – Thanks for posting this info! I love the page! Aloha,what a great site.I love it. I hopefully come to hawaii end of march. is there any chance to get autographs of the cast. esp. Alex? Or do I have to check the locations? Great blog. Love the new version of Five-O. Will be in Honolulu end of April to the start of May; are they still shooting episodes then? Thank you! I love this site! While watching the show my family loves to guess where things are being filmed. Reading this helps us. We will be at the Hilton April 7-12. Any chance we will be able to watch filming? I LOVE Hawaii 5-0…….I will be on Oahu in April, any chance of seeing any filming? I love the show I am old enough to remember jack lord as steve and really enjoyed the show.then and now.alex and scott are so good in their parts alex and scott keep up the good work. I love Hawaii 5-o. My husband and I don’t watch the same shows most of the time but we always watch this one together. We will be in Oahu May 7th week. Can’t wait. I’m sad that filming will be over by then. I’m a big Lost fan as well. Off the Map is also good for those of us that can’t get enough Hawaii. Germany is so freezing.I’m glad I’ll come to the islands this weekend. Can you give me some hints where filming will be so I can watch my favorite series as near as possible? Thanks a lot for your great site and many greetings from Germany! Hey, another one from Germany :))) Have in HI! Great blog! You say filming ends in April, but when does it begin? I will be there with friends in mid-September any luck of possibly catching a glimpse? (1st visit to what appears to be a beautiful place) Thanks! “Common sites are in town, near the King Kam statue,,” we locals prefer people refer to him as King Kamehameha. Mahalo. Separated by Ke’ehi Lagoon, the seaplane water runways, and the Airport and runways FROM Pearl Harbor. 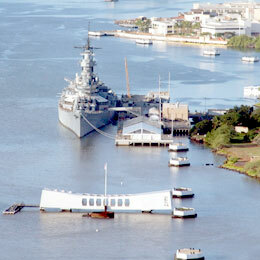 It is Diamond Head of Pearl Harbor. Sorry to be a pain but these manini details are important. Enjoy your information. We stumbled upon filming locations a couple times. 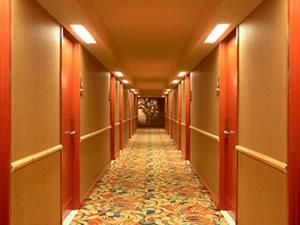 Your blog provides great insight regarding “past” locations. Do you have information on up-coming spots? 5-0 fans of both the original and the present series. Could you please tell us how we might catch a glimpse of some filming while we are here April, 12, 13, 14, and 15 . A lot of the filming sites are public places, so you’ll still be able to see a lot! We will be in Hawaii on Oahu from 8/24 to 8/24 how do I catch the filming? I was just looking at the recent comments, do you mean they’ve wrapped up now? Had lunch at one of the restaurants used in Hawaii Five-O and came to wonder how are such locations selected? Typically production scouts use places they’re familiar with via locals telling them or finding them themselves. My hubby and I are coming back to Oahu to celebrate our tenth anniversary. Any chance there will be public filming during the week of April 30- May 6th? We are loving the new show! They dress up the concession stand at Ala Moana Beach Park to look like Waiola Shave Ice. Check out “Episode 7”. I just got back from Oahu and didn’t really see much in the souvenir department except t-shirts. I got a pretty cool tee at on of teh small shops on Kalakaua Ave. that has the Five-0 logo on the back. We also went and checked out all the filming locations; it was pretty cool to see. Hope you have a good time. Kristin…yeah there’s knock off shirts at the International Market Place, and there’s also some shirts at Walmart. thanks for the help!! i’ll check out walmart….can’t wait to visit; busy planning all my tours, etc. will be visiting maui and big island… any suggestions for me since you’ve been there? Unfortunately my trip to Oahu in april was cancelled. I’m such a big fan of the series and wanted to purchase some shirts with the five-0 logo on the back or a photo of the team. Is there any chance for me to get a souvenir shirt or two sent by someone who lives at Oahu ? I have no chance to get to the islands cause Germany is far away. I will pay by paypal so there is no risk. I would be soooooo happy! Mahalo to this great site! if you need any additional help, let me know. i am headed there on june 15, hope to find something on the island. also, there is an awesome photo and article on hawaii 5-0 in the new EMMY magazine. they are hard to come by, but the company will mail you one for about $20. i am fortunate enough that barnes and noble, our local bookstore is ordering one for me. the magazine only gets dispersed to certain magazine stands. not sure why, but, that’s what they do. Love the show. I spent 6 weeks there last Apr. I always get a kick out of watching the current show and even the old version and Magnum. Seeing them drive around saying they are going … and I know they are going the wrong way 🙂 Hope to be back soon and maybe catch some filming! Great site. Hi, I am an Aussie fan of Hawaii 5-0 and love this website I have just stumbled across. Thank you Officer 808 for the information you have uploaded of episode locations to visit. I will be in Waikiki from 28th June to 7th July to briefly escape winter in Australia. Any news as to when season 2 starts filming now that it has been given the green light? heading to Honolulu for a week in Aug. Would love to catch some 5-0 filing if possible…..coming with 2 kids that are huge fans. Anyone know a fimlming schedule……? Jody-thanks for checking out my blog 🙂 The filming schedule is not released to the public. Stay tuned here or follow me on FB or twitter for filming location news as it happens. Pingback: Episode #2 of “Hawaii In Vermont” Podcast reposted! S013 “He Kane Hewa Ole” (An Innocent Man) and S014 “Kai e’e” (Tsunami) « "Hawaii In Vermont"
I will be visiting Oahu August 2-9th and would love to watch a filming of Hawaii 5-0. Is there a way to find out where filming takes place, even in real time via email, cell phone or text? I will be visiting Oahu July 12th-July 14th. Then I go to the Big Island from July 14th-19th.Would love to see some of the shots that they used in Season One. LIke McG’s House and the 5-0 Headquarters. That would be great. Do you know if they will be starting to film Season Two when I’m there. That would amazing if they are. Thank you for the ideas. Bye! I’m a big fan of the show and I’ll be visiting Oahu July 17th through the 23rd, and I was wondering if they the cast will be shooting or at least on the island during those day? And if possible if you any of the locations they’ll be at? Hi we will be in Hawaii from Australia from Aug 6th till Aug 19th any chance they will be filming Hawaii 5 0 and any locations would be great. We are staying at the Hilton Hawaiian and I know they sometimes film there. Follow the blog, @H50undercover on twitter or me on Facebook for filming news. Hello! I will be arriving in Honolulu on July 31 and staying for a year, and wonder if you know where and when I can watch some live filming? That would be really cool. I am from Norway and a fan of the show! Its my last day in oahu… Will you be filming today? This would make my trip!! Is there a published filming schedule? Unfortunately, no. Twitter is the best place to get leads on current filming. Hello officer 808! What is your facebook and twitter name so I can follow for more info?? Im in Waikiki till September 14th and hoping to see some shooting!! Such a great show! Thank you so much for the quick reply! Your page is great, and super helpful! !I will be following, and hopefully get to see some shooting while i am here. Do they normally shoot on the weekends? Do you recommend any main areas where they are? Will there be any filming in September 2011? Love this show! Fantastic website. It is truly great to get the behind the scenes information that is so hard to find anywhere else. I will be in Honolulu from December 20 to January 4, 2012 and was hoping that you would be able to tell me where filmingnwill be taking place. I am a huge fan and would greatly appreciate anything you could tell me. Aloha!!! Just found this website and it’s amazing!! My mum and I are planning our trip to Hawaii and have found this site really useful! Will be checking back on a regular basis for more updates!! I’m now going to try to find you on Facebook!